Prime Minister's office says debris believed to come from crashed Egyptian plane washed up near Netanya. Aircraft debris believed to have come from an EgyptAir crash in May has washed up on a beach near Tel Aviv, an official in the Prime Minister's office said Friday. "Debris has been collected and there is a high probability that it originates from the Egyptian plane," the official in Prime Minister Binyamin Netanyahu's office said. Netanyahu has instructed that the plane parts found on a beach in the coastal town of Netanya on Thursday be handed over to Egypt, he said. 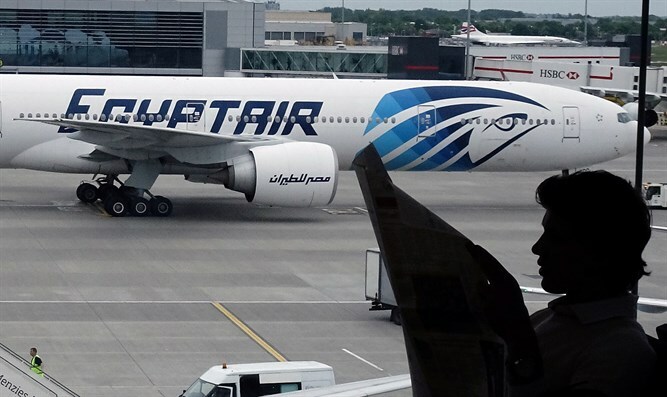 Experts are still investigating the cause of the May 19 crash of the Airbus A320 which went down in the eastern Mediterranean on a flight from Paris to Cairo, killing all 66 people on board. Investigators have said the plane's wreckage showed signs of fire, while a data recorder has confirmed that smoke alarms had been activated.